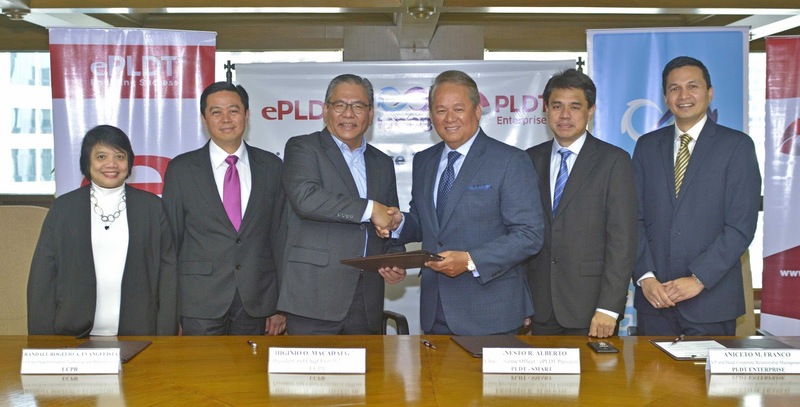 ePLDT, Inc.—the industry-leading enabler of digital enterprise solutions in the Philippines—together with PLDT Enterprise, recently sealed a partnership agreement with the United Coconut Planters Bank (UCPB) for the banking group’s adoption of Microsoft Office 365. Office 365 is a suite of productivity tools, which allows users to work anytime, anywhere and on any device. It boasts of communication solutions built for effective team collaboration—from e-mail and IM (Instant Messaging) to social networking and video conferencing. UCPB also adopted Skype for Business Cloud PBX on top of the Office 365 package. Prior to the event, UCPB went through its Microsoft Exchange 2010 migration process to fully integrate Office 365 into the company’s day-to-day banking operations. ePLDT immersed UCPB’s selected department representatives in the suite’s full features in a 3-day onboarding session. UCPB is the first ePLDT customer to undergo the Office 365 Adoption Program. According to UCPB President and CEO Higinio Macadaeg Jr., the partnership with ePLDT helped in providing resolution to its disaster recovery requirements through the cloud-based application while improving internal collaboration among its employees. “We look forward to more opportunities to enrich our working environment through powerful solutions that will further enable our associates to deliver the Bank’s personal and proactive service to our clients. With our partnership to ePLDT, I am confident that we will be able to make significant progress towards achieving our mission,” Mr. Macadaeg said. Eric Alberto, Chief Revenue Officer of PLDT-SMART and ePLDT President and CEO, said that the partnership reaffirms ePLDT and PLDT Enterprise’s commitment in delivering smart solutions to organizations, injecting innovative business technologies into their day-to-day operations to move forward in the market and gain a competitive edge in their specific industries. ePLDT is the top Cloud Solutions Provider of Microsoft Office 365 in the Philippines and one of the leading in the Asia Pacific region. The company recently received an International award from Microsoft as the PH Country Partner of the Year for 2017, and the Microsoft Philippines SME Cloud Service Provider Partner of the Year 2017.